Brazil bishops are officially assuming a “zero tolerance” stance on sexual abuse. The church here has instituted an abuse policy that has been finalized and approved by the Vatican, and Brazil is one of three nations hosting a new pilot project for the protection of minors. Brazil’s project includes the creation of local survivor advisory panels, as recommended by the Vatican commission working on guidelines for the prevention of child sexual abuse. The goal is to assist bishops and develop church policy and best practices from the perspective of victims. Currently the only Brazilian member of the Pontifical Commission for Protection of Minors, Nelson Giovanelli Rosendo dos Santos is coordinating the project with leaders of Brazil’s national bishops’ conference. He is a consecrated layperson and one of the founders of an internationally known not-for-profit organization working on the rehabilitation of drug addicts, Fazenda da Esperança (“The Farm of Hope”). Pope Benedict XVI visited one of the organization’s 140 farms in 2007. Speaking from his home in Guaratinguetá, in the state of São Paulo, Mr. dos Santos told America that at least half of the chemically dependent people who arrive at the program’s farms suffer from traumas related to sexual abuse, either during childhood or in adult situations of vulnerability. “Chemical dependency is the tip of the iceberg of deeper problems that are sadly linked to the issue of abuse, which is very much present in the family and in other social contexts,” he said. In their fazendas, the program’s medical experts, priests and people who are in rehabilitation themselves welcome and assist newcomers. They live, work and pray together. His long experience in the field was crucial for Mr. dos Santos’ nomination to the Vatican’s commission. The problem of sexual abuse by clergy has been a high-profile issue in the United States, Ireland, Australia, Chile and other places in recent years; in many other nations, the church has been slow to respond or has even denied that abuse was an issue that affected their members. To respond to that problem, the creation of survivor advisory panels was proposed by the Vatican’s abuse commission in 2018. The panels are based on a model that has been successful in England. The pilot project aims to invite more survivors of sexual abuse to join a formal dialogue promoted by church institutions about the problem of abuse. The group began to work on a preliminary database of accused Brazilian priests in 2013 and hopes to update and finish the project in the next six months, Ms. Doyle said. According to Mr. dos Santos, the advisory panels should become a means of assistance and counsel for their respective national bishops’ conferences. “The members of these groups can instruct, with their own experience, how to deal with the issue of abuse, especially when it comes to listening to victims and accompanying them,” he said. In Brazil, the first members of the survivors’ panel have already been chosen, and they will have their first meeting in the spring during a conference on sexual abuse at one of the fazendas. Four of the eight members are sexual abuse survivors but only one is a victim of sexual abuse committed by a Catholic priest. All the panel members are people being assisted by Fazenda da Esperança. “They will describe their difficult experiences of healing wounds, reconciliation, forgiveness... I’d like the approach of this group to be very positive,” Mr. dos Santos said. “I’d like to offer a hopeful perspective: You are not required to carry on your own this burden caused by someone in the past. You shall feel welcome, listened to, taken seriously, and then you can begin to walk again and help others,” he said. The other four members in the advisory panel will be the theologian Klaus Rautenberg, the psychologist Maria Clara Jost, the pediatrician Eliane De Carli and Mr. dos Santos himself. 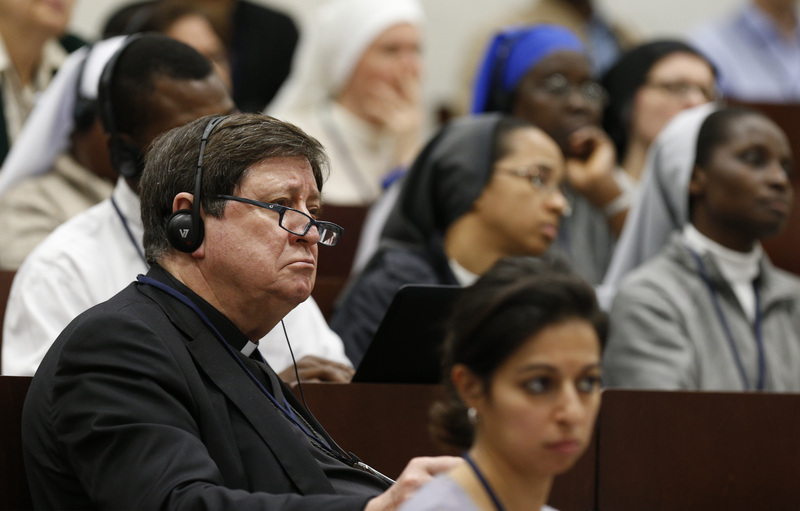 Hans Zollner, S.J., president of the Center for Child Protection at the Gregorian University and a member of the Vatican’s abuse and protection commission since its founding in 2014, will be assisting the panel in Brazil during its first meeting and may be meeting with Brazilian bishops during his visit. 'Mr. dos Santos has been working especially with Cardinal Sérgio da Rocha, the archbishop of Brasília and president of Brazil’s bishops’ conference. The cardinal told the national newspaper Folha de S.Paulo that after attending the Vatican meeting of heads of bishops’ conferences and Roman Curia officials in February, Brazilian bishops plan to expand their own “special commission” working on the protection of minors. Brazil’s bishops’ conference has just released a document on “The Pastoral Care for Victims of Sexual Abuse.” A first draft of the document was written in 2012, but the letter only received the approval of the Congregation for the Doctrine of Faith in 2018. The text is already available for online acquisition, but it has not yet been widely distributed in bookshops. In the document, which outlines the new abuse policy for the Catholic Church in Brazil, the bishops say that their conference “reaffirms its unconditional adherence to the zero-tolerance stance regarding cases of sexual abuse of minors.” The text further states that "The church strongly rejects any kind of abuse, especially sexual abuse of minors." Divided in five parts, the document addresses approaches on how to deal with psychological issues that lead abusers to crime; the consequent disorders faced by victims; juridical guidelines for both civil and canon law; how to communicate problems to society and deal with the media; how to offer pastoral care to victims and, at the same time, deal appropriately with an accused priest; and how to select and offer proper formation to candidates for the priesthood. Cardinal da Rocha has repeated several times that even a single case of abuse in the church “is already very serious and unacceptable.” More meetings and more reflection in national and local levels will help the church achieve its goals, he told O Globo. The most recent charges of the abuse of minors raised against members of the Brazilian clergy came in 2014 from the Archdiocese of Paraíba, in Northeastern Brazil, and the Diocese of Limeira, in the Southeast. In Paraíba, a court order forced the archdiocese to pay more than $3 million in compensation over the sexual exploitation of minors. The local archbishop, Manoel Delson, has forbidden his priests to be alone with minors within the territory of their church. In Limeira, a priest is being investigated for abuse, and the bishop, Vilson Dias de Oliveira, is accused of covering up that priest’s wrongdoings. Both say they are innocent. Guilty by statistical inference? Vacilou, mermão…cadê os redatores?